Try the scaled down 2-5 player version for free. Simply download and print the PDF, following the instructions. Got morbid friends like you? If you are interested in reviewing Death Wish, please get in touch to request a copy. 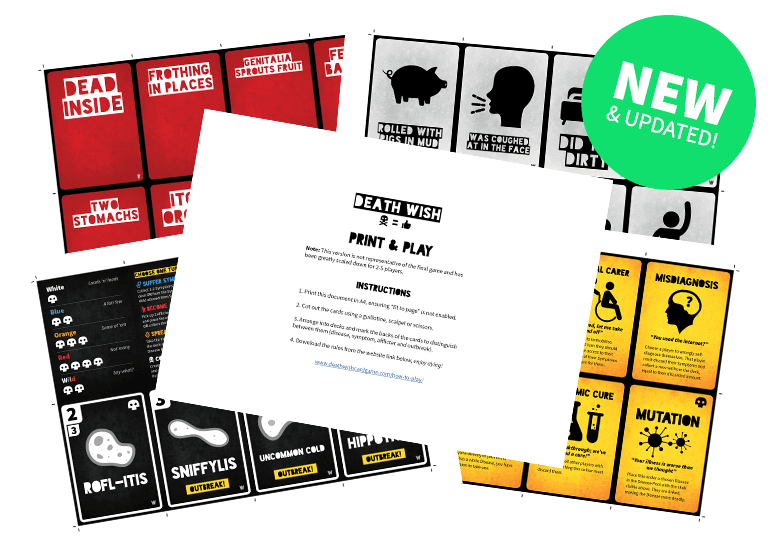 Alternatively, why not try the print & play version for 2-5 players?